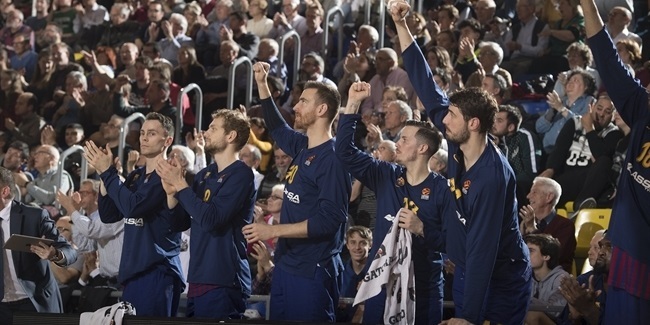 FC Barcelona will wait a bit longer to see Brad Oleson in a Turkish Airlines Euroleague game after announcing Monday that the shooting guard will miss eight weeks with a stress fracture of the fibula in his left leg. Oleson (1.91 meters, 30 years old) was diagnosed with the injury two weeks ago but nonetheless played both games of last weekend's Spanish Supercup, averaging 22 minutes and 9 points in them. 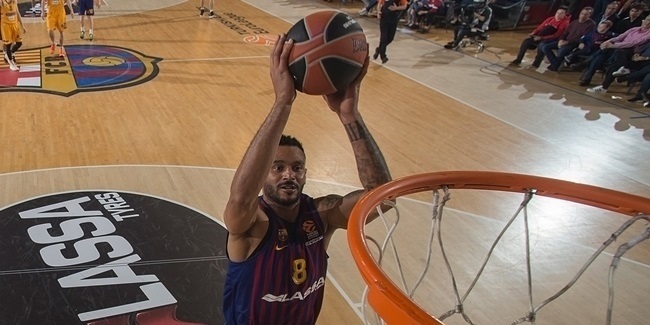 Oleson joined Barcelona midway through last season's Top 16 but was ineligible for the rest of the Euroleague season for having come from another team, Caja Laboral (now Laboral Kutxa Vitoria). 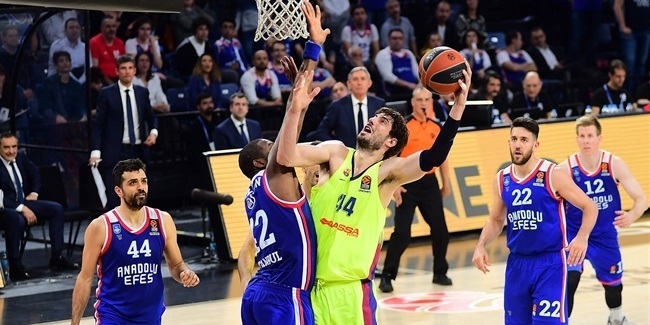 Until then, Oleson had been enjoying his best Euroleague season, averaging 8.6 points over 15 games while making 50% of his three-point attempts. He has played all 57 of his Euroleague games so far for Laboral Kutxa, having joined the club for the 2009-10 season. He had previously played professionally for second-division Rosalia de Castro in Spain before moving up to first-division Fuenlabrada, for whom he averaged 18.1 points.